Beautiful fluttering flight is a reminder of the surprises in life. Fleeting moments that leave a lasting impression on our heart. 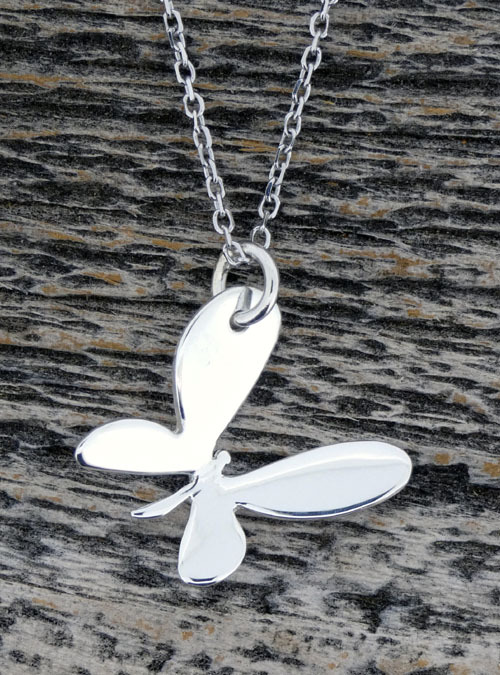 This beautifully crafted, solid white gold butterfly necklace is a stylish addition to your jewelry collection.